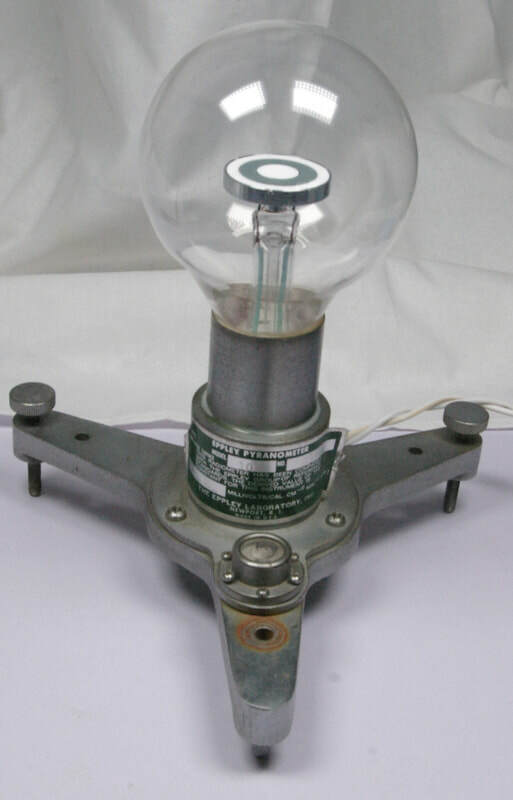 This is an Eppley Model 10 Pyranometer. It is similar to the Eppley Model 50 except it has 10 thermojunctions instead of 50. Due to this, the voltage output of the device is one-third of that from the Model 50. This particular instrument had an original calibration point of 2.04 millivolts/cal/sq cm/min.